This Cronulla Sharks player is well covered by (from left) Newtown Jets Saulala Houma, Kurt Kara, Jack Siejka and Samisoni Langi at Henson Park last Saturday. 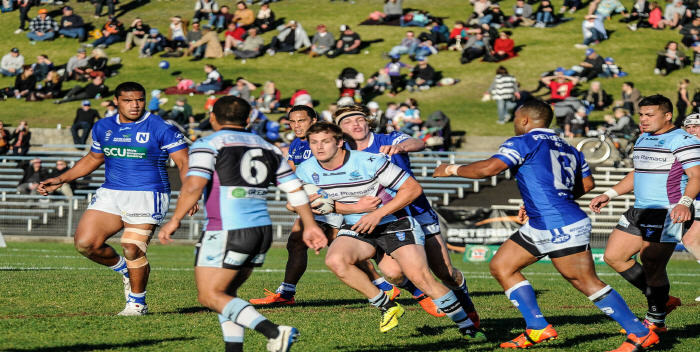 Report on the 17th Round NSWRL VB NSW Cup match between Newtown and the Cronulla Sharks, played at Henson Park on Saturday, 12th July 2014. 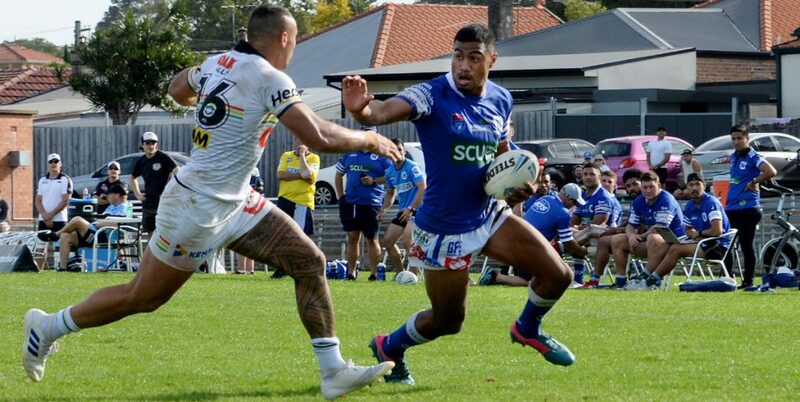 Representative team selections made life difficult for the Newtown Jets in their important home game against the Cronulla Sharks last Saturday. 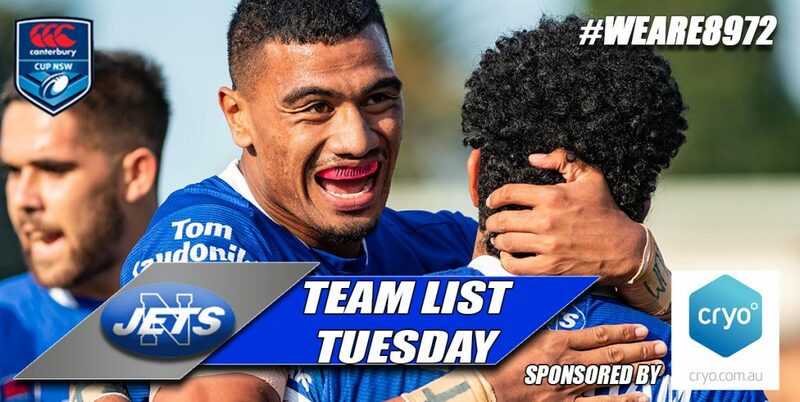 The Sharks are a joint venture between the Cronulla-Sutherland and Melbourne Storm NRL clubs in the NSW Cup competition and they fielded some more than useful reinforcements from their Bleak City partnership club. 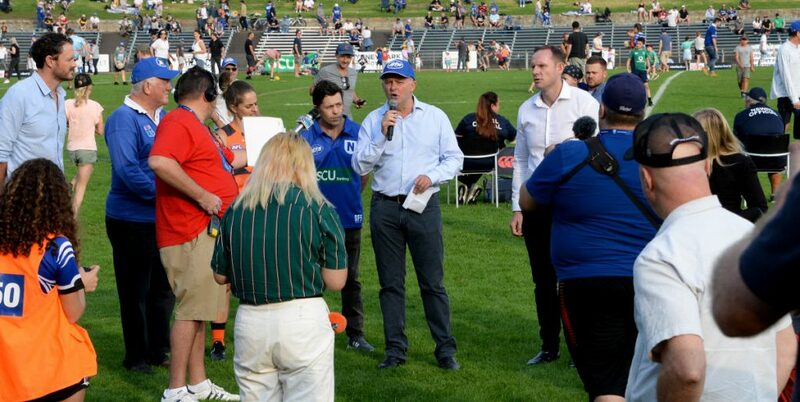 Fine weather and another successful Family Fun Day promotion attracted a good crowd to what was the Jets second last home game at Henson Park for this season. The Jets were stretched to the limit in terms of player availability leading into this match. Cook Islands international Chris Taripo was a welcome returnee from a long lay-off due to injury and the strongman front-rower Saulala Houma was again available after an injury-enforced absence. Newtown made a less than auspicious start to the game, conceding three tries to the Sharks in the first 13 minutes and not actually handling the ball in Cronulla’s half until the twentieth minute mark. The Sharks 18-0 lead was always going to be difficult to run down, especially with the Sharks fielding a powerful set of forwards with ball off-loading skills. Newtown did well with the limited possession they had in the first half, pulling back to trail 18-10 with around ten minutes left in the first half. 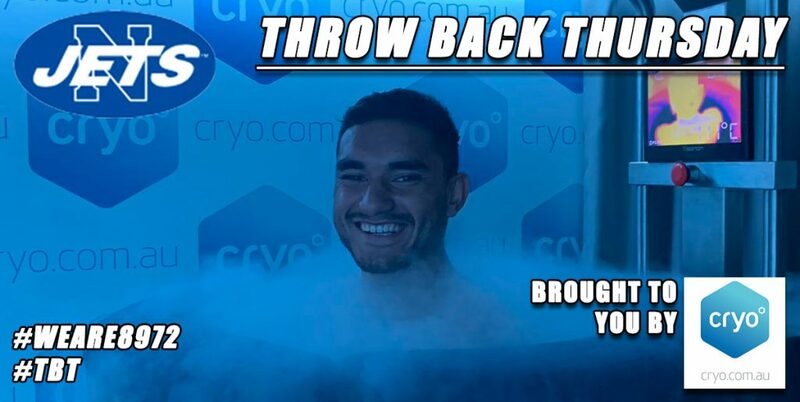 Five-eighth Samisoni Langi split the Sharks defensive line to score near the posts at the Sydenham Road end, and Saulala Houma crashed through the Cronulla defenders with one of his angled charging runs. The Sharks increased their lead to 24-10 through some precision ball-play and that remained the score at half-time. 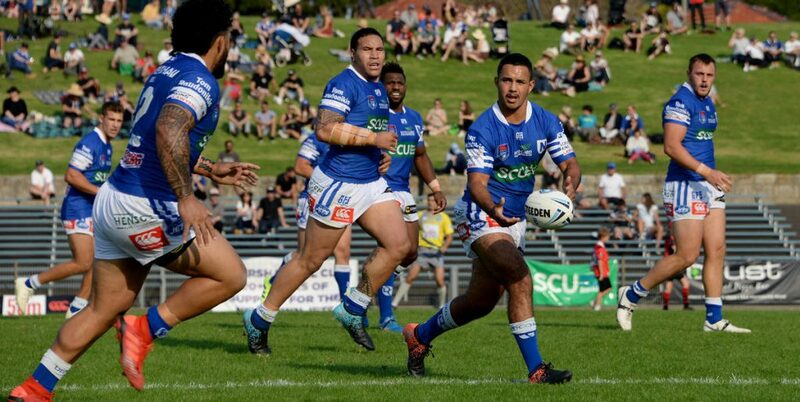 The Newtown Jets tried valiantly in the game’s third quarter to bridge this points deficit. Samisoni Langi was held up over the line in the 44th minute and backrower David Harris went desperately close to scoring four minutes later. Good lead-up work by Langi and Houma led to a try to winger Brett Lane which with Rhyse Martin’s conversion had the Jets back in contention at 24-16. A series of poor options by the Jets in the back end of several sets of possessions cost them dearly. The Sharks increased their lead to 30-16 with twenty minutes to play. This try was scored wide out and the subsequent conversion gave Cronulla a handy 14 points lead. The Sharks scored again five minutes out from fulltime that gave them their final winning margin of 36-16. There was no lack of effort in Newtown’s performance and they stayed right in the contest with the Sharks for most of the second half. Fundamental errors such as not finding the line from penalties, shoddy handling at critical stages and ineffective endings to sets of possession helped to undermine Newtown’s best efforts. The Jets never managed to force any repeat sets from the Sharks despite being at Cronulla’s end of the field on several occasions in the second half. Tongan international Samisoni Langi had one of his best games of the season as he tried hard to spark the Newtown attack. Saulala Houma made an impressive return from injury and David Harris took on the bigger Sharks forwards with typical energy. 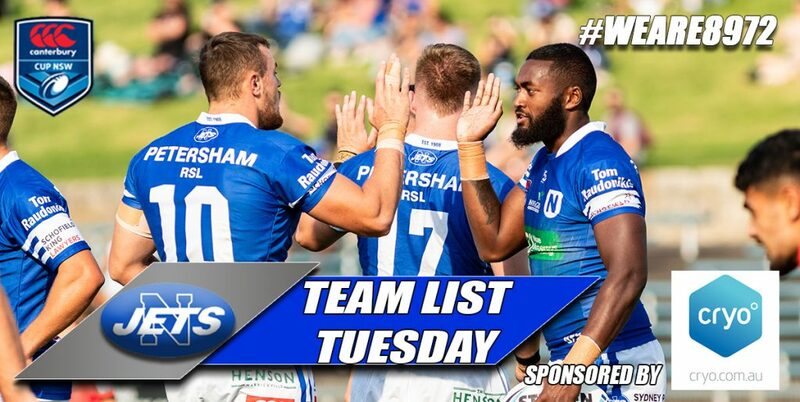 The Newtown Jets travel west to take on the competition leaders Penrith at Sportingbet Stadium next Saturday, 12th July at 3.00pm.